Man is a THREEFOLD BEING. The SOURCE of the may be in any one of these three realms, But the HURT affects the WHOLE person. If the soul and spirit are not the same what then is the difference? In the natural, the spirit realm cannot be seen of felt. The only way to accurately perceive spiritual truth is though the Spirit as He reveals Yahweh’s word. 235 Cf. 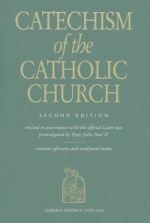 Pius XII, Humani generis: DS 3896; Paul VI, CPC # 8; Lateran Council V (1513): DS 1440. 238 Cf. Vatican Council I, Dei Filius: DS 3005; GS 22 # 5; Humani generis: DS 3891. Last edited by CatholicCrusader : 02-11-2013 at 07:14 AM. [color="Blue"]II. "BODY AND SOUL BUT TRULY ONE"